Major League Baseball is now in full swing here in the good old USA, and the above phrase is one that vendors yell as they move about the crowd hawking their scorecards. Knowing who’s who in the game greatly helps a fan identify with his team and more fully enjoy the action. Were I to put a sub-title on the above, it would be: Are We Christians the Israel of God? To the surprise of too many misinformed brethren, the answer is a resounding NO. Of all the keys to understanding the Word of God, I believe the most important is knowing which parts of the Bible are written TO WHOM: Israel (past, present, future) or Christians (present and future). As I hope you have heard me say in The End Times video, “Get a Chart, Get a Life.” Seriously, because without understanding Da Chart, one does not know who he is in Christ and how to truly live “the life that is life indeed.” My prayer is that what you read in this letter will help you fine tune your understanding, and therefore your application, of God’s wonderful Word. At the bottom line, we must completely grasp the total distinction in Scripture between ISRAEL and the CHURCH OF THE BODY OF CHRIST. Those who do not are doomed to confusion and frustration. This month we celebrate what I believe is the second greatest event in the history of mankind—the birth of the Christian Church, which was made possible by the greatest event—the RESURRECTION of Jesus Christ. Unless someone “Lent” you a “liturgical calendar” for this year, you may not realize that Sunday, May 15 is when the Day of PENTECOST is being celebrated. Sad to say, but in many Protestant churches it will go almost unnoticed, with the congregants hearing little, if any, about the earthshaking miracle recorded in Acts 2, when Christianity was born and the undreamed-of Administration of the Secret of God began. amount of error taught about them, particularly speaking in tongues, will be massive. Of course that will lead to great disappointment for those trying to apply these erroneous teachings. And really sad to say, but, numerically speaking, very few brethren understand the fine biblical nuances of the administrations in Scripture. Even “Dispensationalists,” who do recognize the distinction between Israel and the Church of the Body of Christ, fail to see that everything Jesus said prior to his Resurrection was TO ISRAEL, NOT TO CHRISTIANS. Why? Because the Secret of the One Body (the Lord Jesus’ worldwide diversification of his love, presence, and power) was “hidden in God,” and the Hebrew Scriptures (Genesis-Malachi) comprised the only body of knowledge Jesus could put into his mind and heart, which he did—perfectly. If you have not read it, an article I wrote will help you grasp the details of these magnificent truths. It’s titled What Did Jesus Know and When Did He Know It?I hope it will also help you realize the rare privilege you have been granted to understand such biblical truth. And, of course, One Day With The Creator and The End Timeslay all that out in great detail. Space prohibits me from printing Ezekiel 36:16-28 here, but please read that also, for you will see more details about what all takes place when God institutes His New Covenant with Israel. Hint: It was not in 1948, which was in no way the fulfillment of biblical prophecy. When you read the Ezekiel verses, you will see that what has occurred in Israel since 1948 is nothing like what will take place when GOD finally brings His people back to the Promised Land. Seriously, read those enlightening verses. So why the lie? Why would the Adversary want Christians to believe that what we have today is in any way directly connected to the Hebrew Scriptures? The first thing that comes to my mind is so as to obscure the glorious truth of Romans through Thessalonians about WHO YOU ARE IN CHRIST. If we are unsure of who we are, we’ll also be unsure about what to do, how to live our lives as Christians. That misconception also makes it easier for believers to be brought under some form of “legalism,” wherein GRACE is supplanted by WORKS. This is the kind of opposition the Apostle Paul fought tooth-and-nail against during his entire ministry. It is also why so many Christian groups today exalt the Gospels in contradistinction to Paul’s writings, why they preach from Jesus’ words in the Gospels and not those that Jesus, via Paul, directlyaddressed to Christians in the Epistles. Now hear this: NOTHING in Genesis–Malachi (nor any of the words Jesus spoke prior to his death) has any direct reference to the Christianity you and I enjoy today in this brand new, never-before-dreamed-of “administration of the Secret” (Eph. 3:9). Why? Because it was “hidden in God” (3:9) and “unsearchable” (3:8). Why? Because had Satan known it, he “never would have crucified Jesus” (1 Cor. 2:8). And, as we all know, WORDS HAVE MEANINGS. Today a number of “Christians” call themselves “Messianic Jews,” not grasping the fact that those terms are completely contradictory, at least if Galatians 3:26-28 is correct. It states that the children of God, those baptized into Christ, are “neither Jew nor Gentile.” Right. 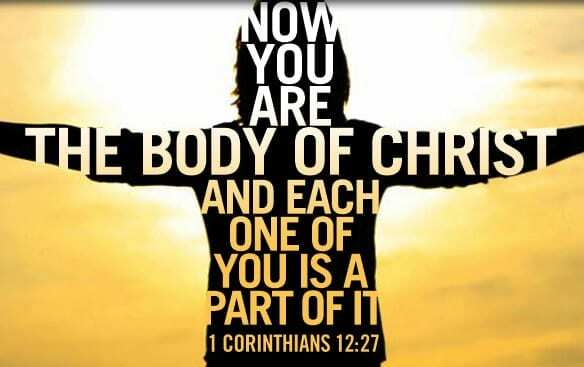 We are born again members in particular of the Body of Christ, made up of former Jews and former Gentiles. We are the new group of folks that began on the Day of Pentecost and that will occupy the earth until the Head of the Body, the Lord Jesus, snatches us out of here. Any “Jewish” orientation, or emphasis on the non-existent but so-called “Jewish roots of Christianity,” or keeping the feasts of Israel, or mandatory Torah reading, or following the Jewish Sabbath observance, etc. will take Christians backward rather than forward into the “Land of Promises” that our Father and our Lord have for us as born again believers. Here is the section of Scripture containing the phrase that has led some Christians to think that we are “the Israel of God.” It is somewhat ironic that it follows Galatians 5, which strongly exhorts us to stand fast in the liberty Christ has given us, not to try to be justified by the Law, and not to allow legalism to hinder or divide us. ‪‪12 It is those who want to make a good showing in the flesh who would force you to be circumcised, and only in order that they may not be persecuted for the cross of Christ. 13 For even those who are circumcised do not themselves keep the law, but they desire to have you circumcised that they may boast in your flesh. 14 But far be it from me to boast except in the cross of our Lord Jesus Christ, by which the world has been crucified to me, and I to the world. 15 For neither circumcision counts for anything, nor uncircumcision, but a new creation [Christians]. 16 And as for all who walk by this rule peace and mercy be upon them, and upon the Israel of God [those of the bloodline of Israel, past or future, who also believe in Jesus as the Messiah] 17 From now on let no one [the Judaizers] cause me trouble, for I bear on my body the marks of Jesus. ‪18 The grace of our Lord Jesus Christ be with your spirit, brothers. Amen. In verse 16, the “all” and the “them” refer to Christians, those who boast in the cross of Christ. Then Paul adds and blesses another group: “AND upon the Israel of God.” Remember that Galatians corrects doctrinal deviation from the message of Romans, and in both Paul takes a hard line against Jewish legalism. Therefore, after so doing, it seems appropriate that he recognizes and applauds “the Israel of God,” those “true Jews” from either a past or future administration who will be raised to new life at the Resurrection of the Just. The following two sections of Scripture elaborate on the truth that it is not bloodline, but believing (faith) that made a person part of the Israel of God, called in Scripture “the remnant chosen by grace” (Rom. 11:5). ‪28 For no one is a Jew who is merely one outwardly, nor is circumcision outward and physical. 29 But a Jew is one inwardly, and circumcision is a matter of the heart, by the Spirit, not by the letter. His praise is not from man but from God. ‪6 But it is not as though the word of God has failed. For not all who are descended from Israel belong to Israel, 7 and not all are children of Abraham because they are his offspring, but “Through Isaac shall your offspring be named.” 8 This means that it is not the children of the flesh who are the children of God, but the children of the promise are counted as offspring. The following verse is set in a context exhorting believers to beware of those who would make a show in the flesh. To show the characteristics of a true believer in this administration, Paul figuratively, and perhaps a bit wryly, refers to us Christians as “the circumcision,” that is, those who exhibit the traits of genuine faith. We are the circumcision, who worship by the Spirit of God and glory in Christ Jesus and put no confidence in the flesh. Back to the glorious Day of Pentecost, when Peter’s inspired discourse in Acts 2:22-36 proclaimed what verse 42 refers to as “the apostles’ doctrine.” What were the major components of that bedrock of truth that propelled the early Christians to turn the world upside down? A man named Jesus laid down his life in fulfillment of biblical prophecy. God raised Him from the dead and made him Lord. The Lord Jesus now fills each person who believes in him with the power of holy spirit so they can re-present him to the world. It is significant that it is the same Peter who later contrasts that with “cunningly devised fables” (1 Pet. 1:16), too many of which have since then infiltrated Christian doctrine.